Communication continues to be an underemphasized skill in healthcare settings, and the result is more burden on physicians when dealing with emotional or tolling scenarios with patients. In a study presented at the American College of Physicians (ACP) 2019 Internal Medicine Annual Meeting in Philadelphia, PA, this week, Christine Bryson, DO, medical director of Teaching Services for the Division of Hospital Medicine at the University of Massachusetts Medical School-Baystate, explained that there has been a growing burden of systemic and training issues that has limited hospitalists’ abilities to provide palliative care. 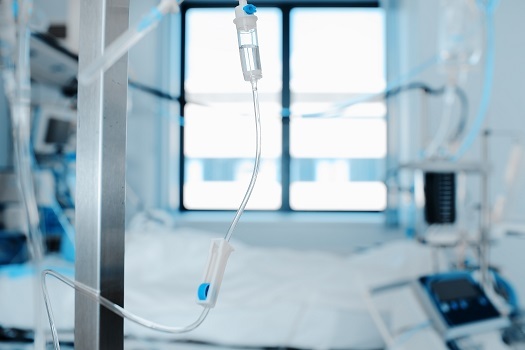 “It’s been agreed by multiple national organizations that hospitalists are in a prime position to help patients to make complex end-of-life decisions, and yet there’s barriers to them doing that,” Bryson said. Bryson’s health system currently employs more than 100 hospitalists—most being in their first years post-residency and without training in formal end-of-life communication. She decided to try supplementing training by creating a mandatory simulation for new hires to practice their complex conversation skills. New hires were assigned pre-simulation literature from trusted healthcare organizations—including 4 articles, Vital Talk information, and materials from the Society of Hospital Medicine and Center to Advance Palliative Care. The simulations included interacting with a volunteer “patient” clearly in need of transition to comfort care, as well as a family member resistant to the idea. The latter would demand the new hire escalate their care, Bryson said, while remaining litigious and combative. At the end of the simulation, the volunteers were encourage to give feedback on the hospitalists’ bedside manner and suggestions for improvement. Just 2 observed hospitalists required palliative care rotations prior to the simulation, and none had ever been given communication simulation training before. Bryson also noted that hospitalists frequently reported losing sleep over the simulated experience, and everyone was able to relate the simulation to a real-life experience. All stressed a need for debriefing with trustworthy colleagues. Some even expressed a difficulty with maintain a therapeutic relationship with patients or their families due to past experiences that resulted in them suffering from racial or religious prejudices. Bryson provided the hospitalists with an email reinforcing positive techniques and skills exhibited in the simulations, and made suggestions for individual improvement. She and her colleagues found that, despite the resources provided at a national level—including the recommended materials she had provided—physicians require self-motivation to become educated on palliative care communication skills. There is also a real burden of emotional toll in conducting these conversations, as exhibited by the hospitalists, and there is not always an opportunity for the individual physician to process that, Bryson added. “I don’t think it’s a surprise to anyone in this room that physicians are not getting adequate training or support when it comes to these interactions,” Bryson said.